We wanted to take a moment to say thanks to everyone who reads this blog and sends e-mails. You are the reason this adventure continues, we wish you the best in 2008. I wanted to take a moment to say thanks for everyone who reads this blog, sends e-mails and also those who come out to meet and talk with us in different cities. You are the reason this adventure continues, we wish you the best in 2008 and hope to see you soon. With the discussion of personal technology integration over the past few years we have seen ideas like internet enabled refrigerators, smart table top and surface computing, smart home systems and more. While some of these ideas seem a bit far fetched, others are much more of a helpful addition to our current lifestyles. With Christmas now behind us and everyone I know, including myself, with new electronic goodies I have been giving this a bit more personal reflection. One of these gifts (and my personal favorite) was a Chumby (to be released to the general public in the next few months and more information here about their business strategy here). Over the last few days of use I have realized how much the idea of integrated devices into our homes are going to fill the unrealized voids within our increasing digital lives pretty quickly. With links to family and friends around the world via social networks and more digital connections to keep up with news and happenings are becoming more mainstream. Rather than keeping my notebook on while at home and having to open/close, move it upstairs/downstairs, login/out when needed and more "modern inconveniences", I can have a single household device that can move around, if needed, to let me passively retrieve information in the background that I will want to view on my own schedule without the hassles mentioned above. From streaming audio, pictures, social networks and access to most any type of digital information and/or updates I may want. Hardware: Ahhh, remember back when the Apple II shipped with complete source code for its BIOS and schematics? We are happy to bring this tradition back to the public. 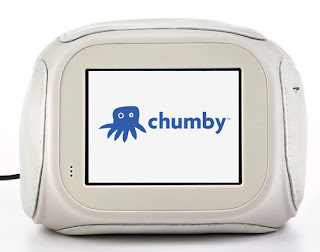 Software: The chumby client is a Linux-based, open-source platform. As our client evolves, so does our flavor of linux and the specific details associated with its drivers and helper applications. Flash: Are you a Flash animator? We like to think of a chumby as a Flash showcase and encourage Flash artists to spread their talents through our network. Crafts: The chumby is designed in a way such that the core electronics can be easily separated from its outerwear, enabling you to create that exact look you want. So far this has been a great lifestyle unification tool, merging my digital life with my home life in a good balance. So which electronic toys did you get or have you had that you cannot live without, please reply via e-mail or in the comments section below. 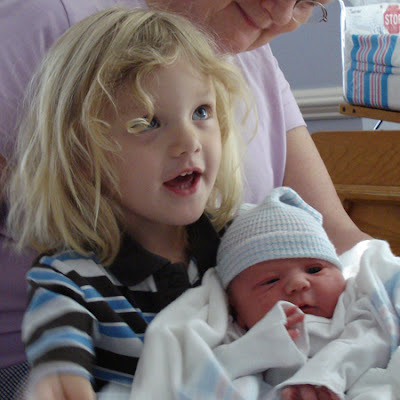 Clarification: the chumby was a gift from my family, not from the manufacturer. With the last release of Revit MEP we were given the opportunity to link directly to IES (Integrated Environmental Solutions, Inc) which was a great step forward for being able to check a few of the many things needed related to feedback on a buildings performance early in the design process via our Revit model. 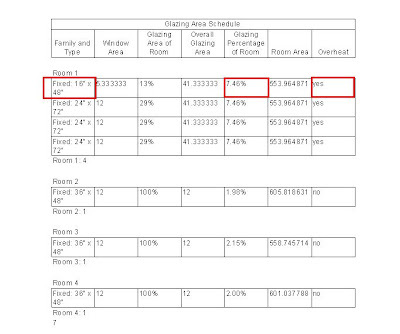 This limited many Architects from being able to take advantage of tools such as: heating and cooling load calculations, annual dynamic thermal simulation for energy consumption, sun view animation for winter, summer and midseason, and daylighting assessment by not having this included in Revit Architecture. For those who need this feature, without purchasing a new license of Revit MEP, to use with Revit Architecture this can now be done after installing this. More information can be found in the press release. The last few days have offered a nice vacation from daily work and given me time to get back to some house projects and in-between back to some rendering related fun. With that in mind here is a great tip for Max users to help troubleshoot corrupt files and other "anomalies". Similar to the profile in AutoCAD, Max has a .ini file that holds things like plug-in paths and more. This file is found in the root Max folder and is called 3dsmax.ini. with your max session closed browse to this location in windows explorer and rename the file (ex. 3dsmax.ini.bak). From here you can start your max session and it will create a new "clean" 3dsmax.ini file for you automatically. 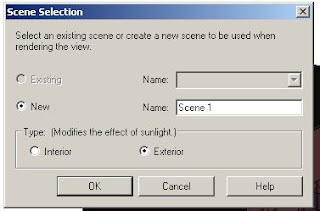 When debugging trouble scenes/files this is a good way to test if it may be one of your own "custom" settings. Note: when doing this locations of toolbars and more will be reset. mayaAscii, mayaBinary, MEL, Autodesk® FBX®, aliasWire (Autodesk® AliasStudio™), IGES, DXF, OBJ, VRML2, MOV (ascii motion), GE2, RTG, OpenFlight, VRML2, mental ray, RIB, Open Inventor2. PostScript, EPS, Macromedia® SWF, Swfit3D, Adobe® Illustrator®, SVG. * Not all formats supported on all platforms. Not all formats supported for both import and export. Some formats applicable to certain renderers only. Thanks to George Matos and Autodesk for the file format notes above. In a technology preview from Autodesk released yesterday we now have access to exporting to the .dwg file format from Maya courtesy of Autodesk Labs. • Convert DWG™ files to SAT file format (ACIS® Solid) in AutoCAD® 2008 software via export. 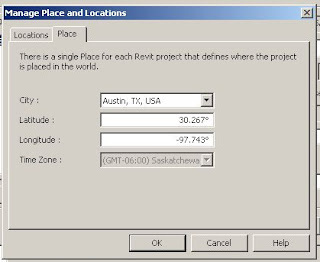 • Import SAT file to Revit Architecture 2008 for documentation via massing. First, the pitch about bringing this into Revit Architecture is a bit misleading as I modified the steps above slightly to show what is really occuring. The way it is written up makes it sound like a seamless 4 step transition to getting your model from Maya to Revit. This is not seamless, first AutoCAD is used as a "translator" to take the geometry and make it readable by other packages via the .sat file format. To get this into Revit it then takes additional work to clean this up and you have to work from massings, not exactly a smart family to begin with so if you have any experience with family editing you may be better off doing it that way. Ex. a known issue mentioned in the .pdf is that the model may need to be rotated in the massing to get the model in the right orientation. Second, we can export to .stl directly in Max. 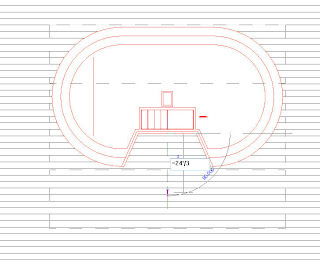 Why can we not get that in Maya and skip the whole AutoCAD step? Great job on the tool as we are now able to share this with other Autodesk users not on Maya. In one of my previous roles we worked hard to expand our rendering capabilities/capacity to get renderings and animations out faster. We did this with a combination of afterhours distributed network rendering and dedicated servers/machines just to handle the load of work we were completing. One thing that always caught my eye was offsite rendering (think a dedicated server farm focused just for rendering stills and animations). At the time there was three choices for this and I was fortunate to be able to test one company with two live projects on a very tight timeframe and they saved the day! At the time we were using Brazil as our rendering engine RenderCore made sure every driver, software and project specific plug-in we needed to match our setup was done to complete the work. Well it has been a few years since then and I noticed today on tenlinks that RenderCore was mentioned and they now offer another solution that makes this even more attractive pricing wise. It involves what they call Daily Pass, or $50 per rendernode for a full 24 hours of rendering. If you are using offsite rendering, drop me a e-mail and let me know how things went as I am curious on changes in the last couple of years with this section of the industry. The Windows Vista Public Release Candidate 1 is now ready for those brave testers here. From the Development side we (Avatech) have had several inquiries from users over the last few months to look into developing some tools to allow users to go from Autodesk Design Products to Primavera. On a related note to that and with Autodesks aquirement of Navisworks this past year in a press release this morning both parties have agreed to continue working together to keep the existing link between Primavera and Navisworks functioning as well as work on interoperability to the Autodesk AEC line of products. This will be interesting as we move forward and should improve the 4D & 5D process that we go through currently. In the meantime I plan to continue paid development in this niche. To quote Big Weld: "See a need, fill a need"
With the rise of new technologies it is useful to have existing "tried & true" technologies take advantage of newer ones. That said users of Outlook can now utilize twitter thanks to OuTwit from TechHit. Ran across this link earlier and with the recent update we have done to take your file from Revit and publish to Google Earth it provides an interesting look at what drives this. If there was one recurring theme for the week it would have to be networking. It would have been hard not to with 9,800+/- attendees (last number I heard) from all over. To start with the ADN Developers Conference on Monday offered some great information and sneak peeks into some things on the way. The push and amount of data being handled by the dwf files is still amazing. The Keynote speech was probably the best one I have seen at AU and the screens and seating were a positive change (a pain of mine from last year solved). It was also refreshing to have Yves Behar (fuseproject) present and share some of his insight and projects. Coupled with some emerging technology and the 360 screens and it really gives you an idea of where all the data from intelligent models (manufacturing, GIS, civil, arch, eng, construction, FM and more) are going. It is going to be interesting to see how we are really able to handle datasets for integrated design practices from all groups and municipalities as time goes on. This offered a great approach and shows more work in this area since the demo's last year. The Exhibition hall was enormous and traffic funneled through rather easily. There were a good number of vendors as well and the products showcased this year were top notch. I did notice a large number of collaboration type tools who seem to really be fighting it out for some of that marketshare. With a space that large and so many folks you can expect a few things to happen and they did (good and bad). The good, there were quite a few "floor" sessions covering top tips and tricks for different platforms. Technology was everywhere from a working wall touch screen (shown with DWF and navigated with your hands) to relics of AutoCAD past (Shaan had some old products and literature including manuals that were corrected by hand and sent to customers vs. manually retyping them) and more. The bad, there was at least one computer stolen that I was aware from the exhibition hall. In the past the meal lines have been getting better and this year my experiences it went off without a hitch. It all moved fast and there were plenty of places to sit and eat and food was tasty as well. Well done! The evening entertainment was positive as well and with so many meetings and other events going on there was something for everyone (Disclaimer, Matt taught me how to play BlackJack one evening). The AU Party had an 80's party with comedians, street dancers and later a band as well. For those not into the "concert" venue there was a huge hall outside with computers setup to run old video games from teh 80's and of course drinks for those interested all around. To end this post I am going to go back full circle and say the networking and being able to see old friends and meet new like minded people with a passion the same as you was one of the best parts. In the end as Lynn Allen said AU is really A You and I could not agree more. 1. For those on a 64 bit OS, the new builds will now support that. 2. For those without RAC but who have other Revit flavors (ex. RST, RMEP) installation will now complete for you. If you were having any trouble with installation please re-download and give the latest builds a go. If you are not sure if you have the latest build you can compare the build numbers against those on the site link above. • Improves API for element coping. • Improves API for instance creation of cellular beam. • Improves API for rebar group distribution. • Improves File > Open performance time when opening some project files in Revit Structure software. Structure when the link is unloaded. • Improves performance when views contain many objects with overridden graphics by element. 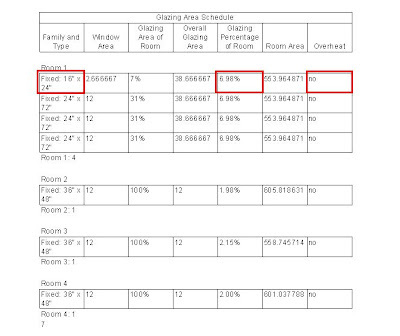 • Consistent Electrical Fixture insertion behavior after creating Electrical Fixture schedules. • Improves performance when placing Callouts on MEP models in certain situations. 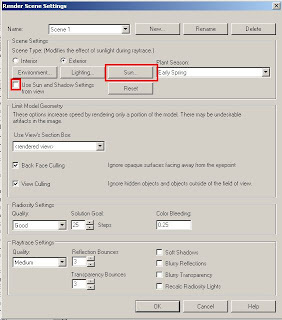 • Improves stability when accessing the Help menu in Revit MEP on a computer with the Microsoft Windows Vista operating system. A new build for Revit Architecture has been posted, available here. Architecture software when the link is unloaded. 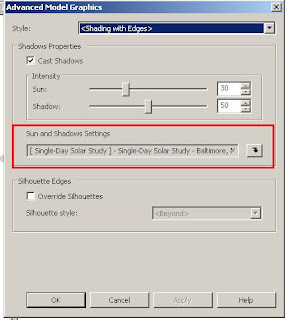 • Improves stability when accessing the Help menu in Revit Architecture on a computer with the Microsoft Windows Vista™ operating system. If your working with Revit and finding a few minor items you would like to add or automate to your suite of tools then chances are favorable that through the Revit API this could be accomplished. I mention this because over the past few years since the Revit API was released our development team has been actively developing tools, both large and small and today we are releasing the first round of free public tools for you to use. These tools come from requests by our Revit implementation/services team, trainers and of course folks just like you. Revit Content Browser - this tools will open up inside your revit environment and allow you to download content directly from popular industry locations. The main window currently goes to RevitCity for this release and allows you to review the content you would like and organize it by name and folder location when you download. 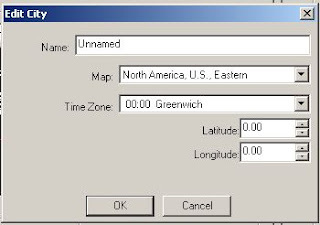 Earth Connector - a new update to an existing toolset that now allows you to now work with 4D (time and phasing) from Revit for use in Google Earth. These work for the Revit 2008 suite of products (Revit Architecture, Revit Structure and Revit MEP) and have been tested on Windows XP and Vista. Matt has spent a good bit of time working on these and I appreciate him leading this charge, the next round of tools are under development now. If you have a particular tool or need for Revit development please let us know how we can help. A press release of these tools is available here. To make this a bit easier to find for those using Revit Structure 2008 and looking to be able to export to CIS/2 format you can find a plug-in available here. More detailed information and research about CIS/2, CIMSteel & IFC files can be found here. My personal favorite #5. I have pinged Robin to see if he has seen this live before. For shorter more frequent posts I am now using Twitter. If you have a twitter account you can also follow-me here. This will automatically show in the twitter sidebar of the blog as well as on Facebook. Lets start with the Q noted above, I have had this device for the past year and have been disappointed with one single item: Battery life (especially compared to having to move from my blackberry). Well a few weeks ago I had a friend mention there was a BIOS update for the device that may help. Well after a few tweaks, restarts and activation the Q was updated.... Final report it is finally usable and if you are having the same problem update your BIOS with info from here. Now on to the S9. I have been wanting to get a wireless bluetooth stereo headset for a few months now and with my battery problems solved above I finally ended up buying one (ok truth be told I ended up with 2 but thats another story). After using this for 2 work days and a weekend at home I have to say I am impressed. Last item to note if you are looking to buy a S9 make sure you do not get a knock off (especially if purchasing from E-bay sellers). We have postponed the BIM & Facilities Management portion of the presentation for a later date/time. If you are interested in this please drop me an e-mail. Autodesk just released a new Labs product called Content Search, still listed as Alpha at this stage, entirely web based, searchable and available from the main page here. Here are some good photos from Dubai including one from 1990 compared to 2003. 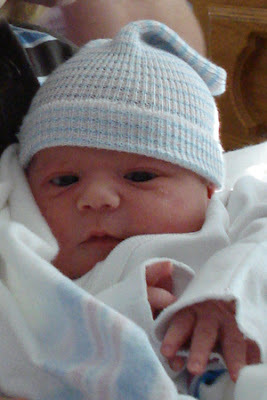 For those that have not yet heard the announcement, we had our second child. Weighing in at 7lb 14oz and 20" long. Labor went well, in fact too fast as we did not make it to the hospital and instead we were fortunate to have the experience of a home birth. 1 hour start to finish for all laboring, push 1, 2, 3 (all pushes being less than 3 minutes total) and out this bundle of joy came. Matt pointed out that he has been using the GTD outlook plug-in and it is working pretty well. I have been pondering this for some time to help with my own implementation. For now with the upgrade to Vista I will be waiting until Mid-June for this to be available. If you have been using this or have something to offer on the subject, leave a comment. 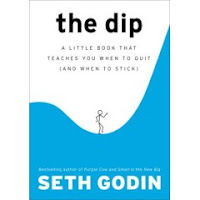 Those who have been around me the last 6 months know that I have been focusing more attention to the GTD methodology in my professional and personal life. Having lived through the multi-tasking mentality and its lack of long-term effectiveness I have been working on an idea called "productive task time". Today I ran across an interesting term called Chunking which is very similar to the PTT. The idea of each is to set aside defined "chunks" of time for events/tasks instead of mutli-tasking a number of events at the same time. If you are having trouble juggling multiple tasks and giving them the proper attention to completion that they deserve give this idea a try. Just a quick post to wish you a happy and safe Cinco De Mayo. I have been at the AIA convention in San Antonio this week for some meetings and classes. Yesterday was a great day of sessions about Integrated Design Practices. 2. Green Building Studio - In addition to the great product they have been developing/expanding the last few years, another set of new features coming out are Carbon Footprint and Energy Analysis tools. Another that is not yet released, but looks promising, is the detailed "Climate Server", listed as a high resolution climate server, this provides detailed weather analysis for 65,000 locations will provide a pretty detailed report for your project locations including: Dry Bulb Temperature, Dew Point Temperature, Relative Humidity, Wind Speed and Direction, Direct Normal Radiation, Precipitation Rate, Total Sky cover and more for energy analysis. Thanks John. The last few days have been busy with documenting; workflows, services and marketing. Having gotten stuck for some terminology I did a quick websearch for a thesaurus and ran across the following: http://www.visualthesaurus.com/. After a few minutes of playing with the technology this helped me to get past my idea block and opened up a few new ideas on where I was going. If you are looking for an interesting approach on using the dictionary/thesaurus this is an item you should review. On a random though, this technology is built-on ThinkMap which offers some interesting possibilities for development related to the AEC market.